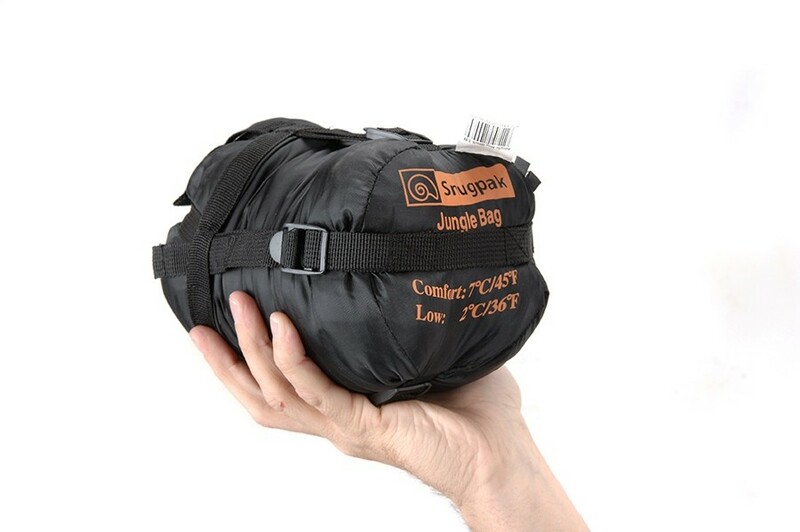 The Snugpak Jungle Pack is compact, and includes a mosquito net that can be used for the face to keep out a variety of pesky critters. It’s currently sporting an excellent rating on Amazon, and people love it for camping in humid conditions. Comes with an integrated pocket, and weighs only 27 ounces. Its length is 86 x 64″ and it can be bunched down into a size smaller than a coconut. As any avid camper will know, fractions on an inch count when trying to make enough space to carry everything else you need. This bag actually fits in the palm of your hand for easy travel. The only thing you may want to remember for this particular bag is that when it gets a little chillier (around 40°), you may need to take a liner with you to be comfortable. The netting may also be uncomfortable against your face as you sleep, which can be a little distracting. Some users have also complained that the zipper was difficult to work at times.